Made to Discover Personal and Business Transformation For a New Culture of Candor™! the author of "PhD in Yourself System", Master of Science (MSc) in Theoretical Physics, entrepreneur. We are millions of S-T Leaders (Innovators, Actualizers) over 35+ (entrepreneurs, SMBs owners, managers, venture capitalists, manufacturers, educators, intellectuals, philosophers, poets, writers, coaches, trainers and others), feeling inspired by the quest for self-transcendence (peak experience, the values of Being, the beauty of life, flow, unitive ideas, experience of a communion beyond the boundaries of self, and other life-altering moments in personal and business life). We are optimistic in the long run, intellectual, creative, open to change, sophisticated leaders with wide intellectual interests. We like personal and business challenges, problem solving, relatively independent and self-defined intellectual tasks, discovering new and analyzing the big picture from a different perspective to be in charge and on the move. 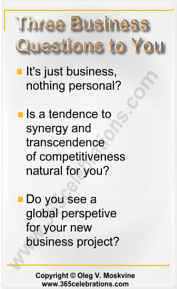 Leaders, inspired by the quest for self-transcendence in personal and business life, UNITE to build your own unique business projects of a new culture of candor by transcending competitiveness and benefiting from the power of collaboration! Does Meditation Need Any Method? Can You Really Drop the Negative? how to make this site more interesting, valuable and useful for YOU. S-T science is intended to help you do! Finally: A modern,well-organized, non-classical, integrated, comprehensive, cross-functional guide intended for Innovators over 35+. It ALWAYS focuses on outcomes and practical results! and Social Wellness to Take Life Easy and to Be In Flow With It! This is a modern, well-organized, non-classical, integrated, comprehensive, cross-functional guide intended for Innovators over 35+ looking for “all in one” solution on personal wellness. It ALWAYS focuses on outcomes and practical results rather than on philosophizing and intellectualizing about life. Based on a blend of physical, emotional, intellectual, and social wellness, this modern non-classical system pulls together 25 years of research and CROSS-FUNCTIONAL expertise into a simple, step-by-step self-coaching guide providing the skills and tools to master all around personal wellness. than they have to be? I want you to become a realist. Why? When you don't have any ideal of perfection, life immediately becomes simple and natural as it is intended to be. The grass becomes ALWAYS greener on YOUR own side! Just come back to yourself! Become the PhD in the Science of Yourself! That is what exactly the system is intended to help you do. Jump into two-dimensional science to INTEGRATIVELY explore all around wellness aspects and to apply this practical experience in your everyday life to finally become happier, more balanced and harmonized in all aspects of life. This elegant system is designed with simple but effective lessons to coach you, in a very exciting and practical way, how to put far more aliveness and freshness into your life and how to live with greater satisfaction, joy, peace of mind and vitality right now! You learn a highly effective collection of powerful, yet easy to use tools, drills and finest techniques to profoundly master all around personal OPTIMAL wellness. It means you learn how NOT to over-complicate your life and how to be in flow with life instead of wrestling with it! The system leaves enough room for improvisation, adaptation, interpretation and creativity! You can obtain cross-functional expertise in many aspects of all around personal wellness so you can start coaching and sharing your own practical results with your family, friends and colleagues. You need to go on dieting, exercising, emotional controlling, disciplining, managing your time, setting goals, growing willpower, self-improving right? Ok, you do some research to find out the best solution… Hmm, that’s a lot of information. You start feeling overwhelmed. Why? As to me: There are hundreds of thousands different diets all over and new one’s coming every second! Thousands of fitness schools and trends... There are thousands of philosophical books caring different meanings, concepts and contexts… There are millions of guides on “how to improve” that can become an addiction in and of themselves to seek for the next receipt... There are too many experts, schools and studies ABSOLUTELY contradicting each other. You have no clue who to trust in the wellness space. You start feeling discouraged. And a result? In a week (month) you give up this solution. Why? As to me: Why the idea of perfectionism ALWAYS fails? Self-improvement idea (of no matter of what to improve) is finally the way to nightmare. All efforts to make something out of yourself, out of your own nature, to reach an ideal, to reach an mirage, are going to create more and more nightmare in your life. Ideals make you become improved and supernatural (over your true nature). The grass is always greener on the other side? I doubt! With any ideals, no matter what you are you going to reach, you always fail, because the ideal is like a mirage. It is impossible in its nature. The idea of perfectionism keeps you so busy. There is no time for inner exploration, deep relationships, love, your family and friends, music, poetry, nature. Life becomes a run affair. And sooner or later you understand that this is simply a run from yourself. A run from yourself may have different forms and ways. It does not matter what goal or what object you are running after. It matters that you are running from yourself. And finally on this way of running from your nature you will inevitably fail. If you are continue looking for next tons of receipts, tips and advices then this is a red sign: you are split, separated from yourself, divided and disintegrated in 1000 different parts pulling your from your inner center, from your wisdom, from your intuition, from your nature. The problem is obvious: the more information you collect, the more you study how to react with prepared answers and steps, the less you remain involved in the alive streams of life. When you are conditioned and biased, you simply pass by - you are closed to the beauty around you, to the breathing of nature around, to the play of aliveness around you. You become closed, frozen and serious. That’s it! When you are stuck on the ideas of perfectionism, you lose contact with life and you are no longer related to the breathing of life, because to feel it you should be receptive enough, soft enough and poetic enough. Contradictive and artificial strict rules, principles and concepts of perfectionism are ALWAYS rational and logic, so they make your life become like a stagnant pool, not flowing, dancing and playing. But life in its nature is irrational and zigzagging. So this conflict between alive streams of life and artificial concepts makes you feel more and more tense, frozen, mechanical, dissatisfied and stressed. Then let me ask you: is life meant to be lived like this? Exhausted, dissatisfied, discouraged and sucked… Look, it doesn’t have to be this way! How to stop this endless cycle of “search-find-try-escape-search again…” which brings only chaos into your life? Does the potential to change this situation exist? Yes, this potential exists, but it has to be actualized! Finally: A modern, well-organized, non-classical, integrated, comprehensive, cross-functional guide intended for Innovators over 35+. It ALWAYS focuses on outcomes and practical results rather than on philosophizing and intellectualizing about life. "Admit it: if throw away the real for the unreal, if catch the non-essential and lose essential, if miss the dance of life, then life sooner or later will become meaningless with any achieved success, power, money and prestige. Even the great success can become a great failure on the long run… Life that could have been a tremendous beautiful adventure has turned into mechanical-ness of every day. When a man wakes up in the morning, does he enjoy a new day coming to be discovered? Or does he go through the same old routine of life: the same habits, the same moves, the same words, the same exercises, the same emotions, the same feelings, the same thoughts? What a strange world! Man may spend his life with non-essential things but never find the divine eternity inside. The more man runs for future goals, the further away he is from his nature. Ironically, man knows everything around him except for himself. A run after something gives a good excuse and a good reason not to find the intrinsic nature of man, not to find himself. Dealing with life only in a mechanical way, repressing the essentialness of life freezes the aliveness of inner nature. And these repressions are clearly manifested in every restricted breath, in every tense step, in every jerky movement, in every false head-oriented smile, in every false mask and in every ice-like touch. What has been missed? The celebration of life has been missed. The rejoicing in life has been missed. True life is intended to be the celebration of aliveness. Just stop running for a moment and wonder: you are alive! One additional day is granted to you to BE, to LIVE, to FEEL, to LOVE, to BREATHE this life! You may enjoy the sunrise today. You may enjoy the songs of birds today. You may tell a fairy tale to your child today. You may walk in a beautiful park today. You may write a poem. You may create new technology. You may start a new business. Do you realize this great chance given you TODAY?" - How not to make things and life harder than they have to be? - Sounds too good to be true? - Is it for you? Then how to convert these beautiful words into real life experience? How to take life easy? How to be in optimal all around personal wellness? How to start this journey? You are in the right place! into a simple, step-by-step self-coaching guide in the science of awareness. The reason is very simple: to know just means to accumulate and collect information. Collected knowledge doesn’t transform you - you remain the same. But what can change you? What can transform you? Only your own wisdom as the synergy of your intuition and common sense, playfulness and taking life easy, your fresh responding to life challenges, existential knowing of your nature and your uniqueness can transform you. This wisdom creates a new quality of your life. You start seeing, feeling and understanding reality in absolutely new ways. How not to make things and life harder than they have to be? It took me TWENTY FIVE years to understand what conscious life means for me. For the past 25 years I’ve been mastering cross-functional expertise by studying and practicing hundreds of different contradictive theories, concepts, ideas and techniques concerning all aspects of personal wellness: physical, emotional, intellectual, and social to clean out all the non-essential and to focus on essential things. I want to be honest: most (if not all) of what I learnt about all diets, healthy and unhealthy food, different schools of physical activity, different philosophical doctrines and dogmas don't resonate with me. They are absolutely irrelevant to my present lifestyle. I never want to be manipulated and conditioned by ANY artificial for my life intellectualizing that doesn't fit main priorities and values of life. Being in optimal personal wellness is mainly a matter of intuition and common sense. That is what “PhD in Yourself System” is about! I have squeezed all my work and practical experience into simple but powerful ideas, methods, techniques, exercises and drills of “PhD in Yourself System” that my family and I use every day. And YOU, your family and friends can apply these ideas in everyday life too! What does it mean for you? You don’t need to spend these TWENTY FIVE years in your own researching. Instead you have a condensed system that completely relies on your natural response, awareness and wisdom. The system respects your uniqueness, your individuality, and freedom to be yourself. Instead of running and running on the periphery you can DIRECTLY dive into the fundamentals and essentialness of your life to become the Master of Your Life. You can test the deepening awareness and sensitivity in many aspects of your everyday life: from the centre to the periphery, from relaxation to activity, from a personal circle to global projects, from the prose to the poetry of life, from inner silence to marketplace. Start from doubting! I always suggest you to obtain your own practical experience. Philosophizing is philosophizing. Intellectualizing is just intellectualizing. As for me, it is of no help in finding yourself. Any words may be inspirational and beautiful for you… but they are just words. If it is not your own experience, then you start believing in words or you start not believing in them. Both ways are wrong. They look different, but the main approach is the same. You just believe in it or you believe in “no it”. But it is just belief. I want you to explore my hypothesis to find out. Only your own personal experience makes sense! I don’t convert you into ANY dogmas. Why should I bother to convert? My rightness and confidence arise from my own experience. It was proved by myself. It can be proved by you… if you wish to do so. Instead of theorizing, I share my own practical experience, raise significant questions and present you precise views on all the essential aspects of your life. It is not teaching. It is sharing real practical existential experience! Discover How to Master Your life Instead of Wrestling With It! How to create a system and not to lose the big picture… It was a real dilemma for me… What to do? 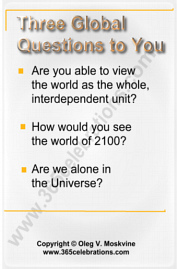 Is just theoretical knowledge of any thin phenomenon by itself useful for you or not? One amazing scientific experiment doubted the cause-and-effect relation. May the future event pull the past event to happen? What can scientific mysticism bring into your life? What is more important - consciousness or matter, body or soul? Are you able to accept just one part and deny the other part of the full spectrum of reality? Is it possible to arrange both worlds? Why are modern scientists VERY puzzled? 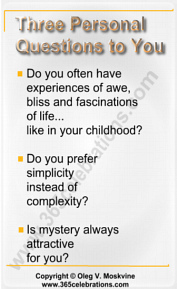 What is the result of full exploration of multi-dimensional life? How to effectively use the energy of desires to become the master of them? You will start working with your physical body to explore your body’s authentic needs, rhythms and cycles. You will learn how you can use your body to understand and know yourself better. Why can following ANY diet often result in many restrictions and cravings? How to find the proper spectrum of food for you? What does “vibrating food” mean and how to find it? How does torsion (scalar) field theory explain the vibrating food phenomenon? How not to get in a trap of attractive food? What is the main cause of stuffing food? How to transform eating into festivity? How does modern science explain water memory? What can the resonance effect between consciousness and water memory bring into your life? Precise and simple analogy between three forms of water and three forms of you. Can even trivial thing transform your life? How to create your own improvised optimal complex of physical activity: fundamental principles, 7 main effective ideas, many practical drills and exercises to help you become the master of your own physical activity! How to breathe properly: through the nose or the mouth? How to easily and immediately exhale your accumulated tension? How to proper create a relaxation wave? How to achieve a smooth breathing flow? How to combine “relaxation and tension” exercises with proper natural breathing to significantly enhance your physical wellness? A red sign of when any methods start taking possession over you! Several types of night dreams. Do you need to interpret them? What is the simple but powerful way to be less and less disturbed by night dreams? You think this is a simple discourse… No way! “The Sun Freezes Without You” is a device to start from scratch new in-searching of the true meaning of your life. It is not teaching. It is sharing real practical existential experience. Can any philosophical intellectualizing about life help you? How to realize the intrinsic meaning of YOUR life? Do nouns exist in nature and your life? What brings misery into your life? Who is the real creator of meaninglessness of life? The secret of a powerful magical formula that can bring joy, festivity and inner comfort into YOUR life! Learn by practicing my first twenty simple non-classical effective trainings in sudden meditations. Many of them are dynamic. You don’t need special time and place to practice them. 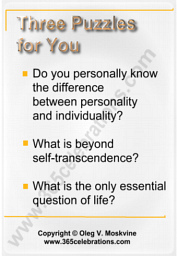 These sudden meditations effectively complete “PhD in Yourself System, Part 1”. I want you to make a conscious choice. I have figured out what you can expect to learn from “PhD in Yourself System, Part 1”. I don't convert you. I don't persuade you. I don't convince you. In order to make the right decision, if my work, ideas, way of thinking and feeling resonate with you, you should start studying this system. If nothing brings you the feeling of affinity, communion and resonance with my ideas and approaches, if nothing touches you, if you don't feel the atmosphere I am trying to create, then this material is definitely NOT for you. Then forget about it and be happy. But if you feel good about the ideas, thoughts, trainings and tips that I share with you, then you will probably get a lot of value and practical understanding from “PhD in Yourself System”! If it sounds good and reasonable to you, then you can make the first step towards this goal! Imagine how different your all around personal wellness would be in effortless comfortable activity to be in flow with life instead of hard working, growing willpower and developing discipline. Imagine how different your life would be! Don’t waste your life on being so busy with non-essential things. I invite you – right now – to take the celebration of life back. This is your day. Let’s make the first step today towards your best life how it is intended to be. 1) This system is NOT about enthusiasm, devotion and hard work. This is about essential things – coming to yourself with effortless comfortable steps at your own pace. Don’t invest too much time and efforts in studying this system otherwise the pendulum of emotions will sooner switch to the other side (from enthusiasm to boredom). Starting too much, too quickly and too hard requires overcoming too much time and efforts. Remember, the harder and complicated a work is, the sooner you escape from it and the less likely you are stuck with this work later, right? Be a realistic and smart person. Make small effortless comfortable steps at your own pace. Put the golden rule 10/10/today for realistic and smart people: spend 10 minutes in studying and 10 minutes in practicing today. The only way to understand and benefit from this system is practicing. Apply the golden rule to master your life! That’s it! Easy enough right? I don’t believe in the hard work in long-term results of all around personal wellness! I know personally and ALWAYS coach you that small comfortable steps are MUCH more effective! The point is to start slow and step-by-step DEVELOPE your skills and mastery in every aspect of your personal wellness. 2) Keep your practicing as enjoyable as possible otherwise if you surpass your level you will feel discouraged. Play with the ideas, exercises and drills of the system to stay in flow with life! 3) To understand means to simplify. Simplify your approaches. See the big picture: why, what, how, where and when. Always understand “why” you are doing some exercises, and what is behind them. While you can zoom in every aspect of “PhD in Yourself System”, don’t lose a track of the big picture. This is the major theme of “PhD in Yourself System”: don’t make things and life harder then they have to be, don’t over-complicate your life! Don’t allow small details overwhelm you and hide the big picture! 4) Use first of all your own intuition and common sense to guide your all around personal wellness and life. Being in optimal wellness is mainly a matter of intuition and common sense. That is what “PhD in Yourself System” is about! 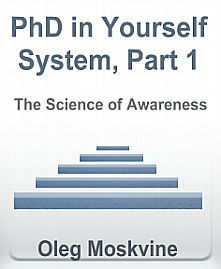 “PhD in Yourself System” is available ONLY via Licensed Partners. 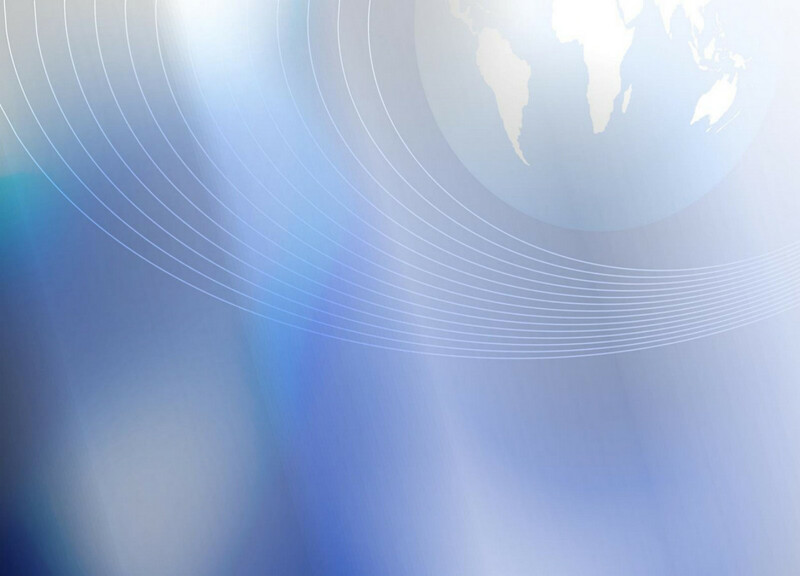 WE BUILD MULTI-BILLION DOLLAR NEW GLOBAL MARKET TOGETHER!